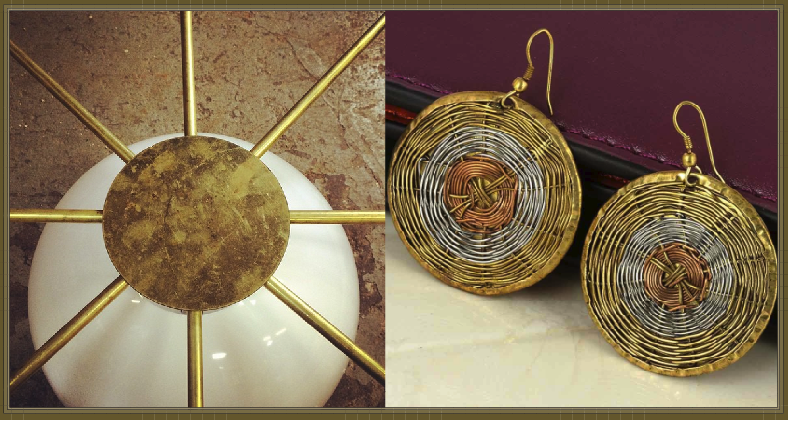 FASHION MEETS INTERIORS: BRASS ! 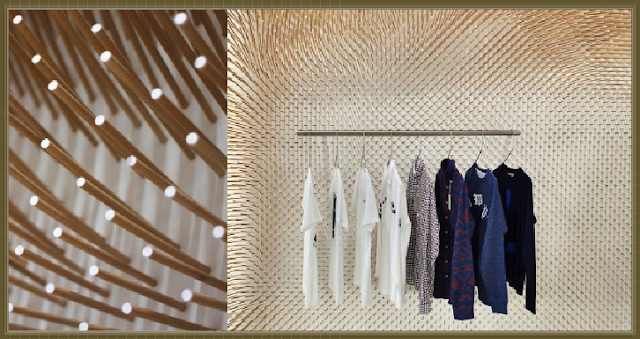 Interior wall design inside of MRQT Boutique in Sttuttgart, Germany is made of Brass rods for a playful modern touch of sass. Brass Light fixture to the left / Brass wire earrings to the right. 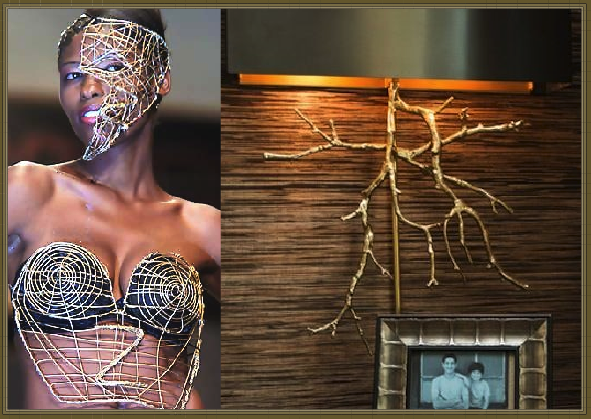 Uganda's fashion designer Sylvia Otwiri designs a brass top and mask during Kenya's Fashion week back in 2004 on the left/ Brass rod tree branches make up this beautiful night lamp to the right. 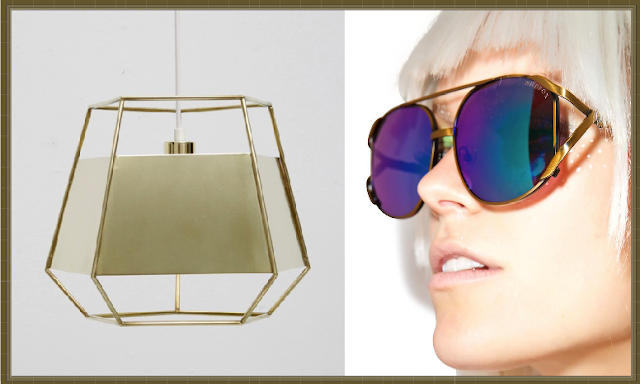 Hanging Light fixture made of brass to the left/ Wildfox's fun and playful sunglasses to the right. 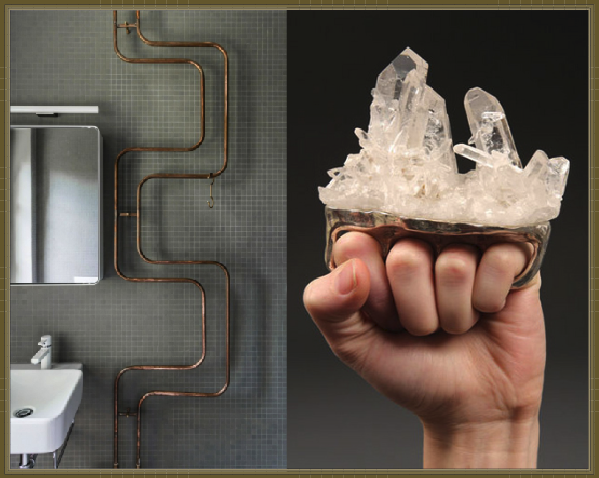 Playful brass wall decor to the left/ Brass and opal knuckle ring to the right.